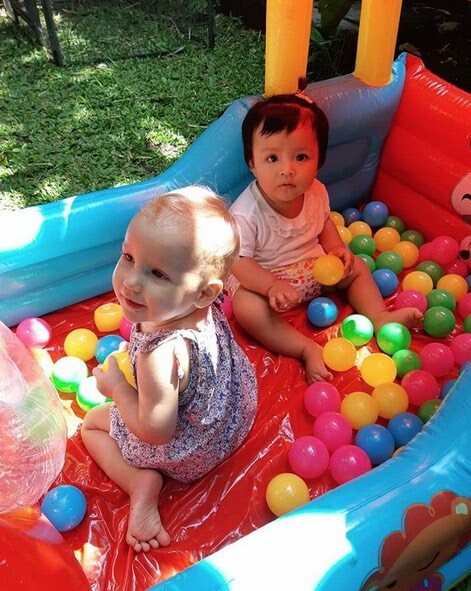 Bali is a great holiday destination for families with kids! The beaches, family-friendly villas with private swimming pools, waterparks, plenty of family activities – yes, it’s easy to see, Bali is a little paradise island for young and old! However, while the kids are always bursting with energy, moms and dads could sometimes need a little break. A little break to drink that cup of coffee while it’s still hot and to enjoy a good hearty lunch without having to run after the kids or keeping them entertained with iPads or smartphones. A challenging thing, it is! Or is it not? 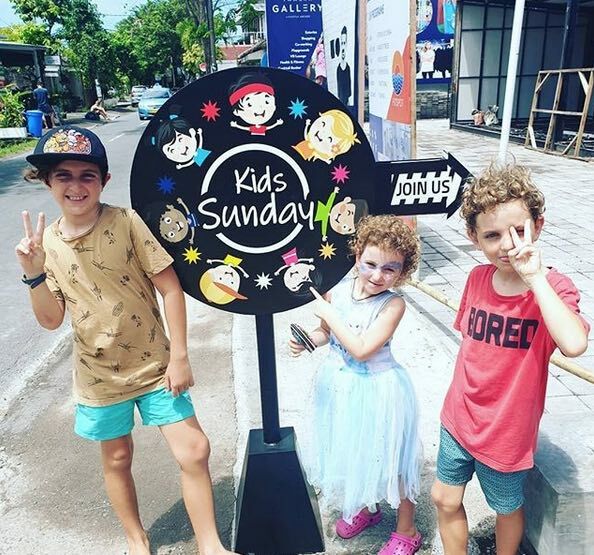 This busy family-inspired cafe is located in the Berawa area of Canggu and it is a great place for families to meet and kids to make friends. The outdoor playground has got lots of shade and kids can play here for hours. There is a sand pit, synthetic grass, there are slides, swings, climbing walls and there is a trampoline. Just splendid! What about the parents? Well, surely mom and dad will love having lunch in an authentic Javanese Joglo house, brought over from the island of Java, complete with ancient woodcarvings and antique furnishings. There is good coffee, there is delightful food – what more do you need? Come back on a Friday evening for a family movie night under the stars! 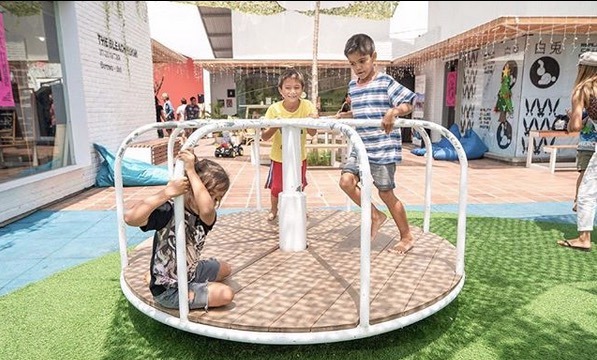 The newest kid on the block in trendy Canggu, Tamora Gallery is a lifestyle shopping arcade with trendy cafes, designers boutiques and a large outdoor playground for the little ones. There are swings, slides, tunnels and more. There is even a skateboard area and there is a kids club, too, if you need your little ones to be supervised while you are out getting your shopping done. Milk and Madu is one of the most beloved cafes in Bali. People come here for the excellent coffee, great salads and homebaked cakes. Milk & Madu in Canggu is the best of all. Why? Well, it has got a playground and there are kids’ activities during the weekend. 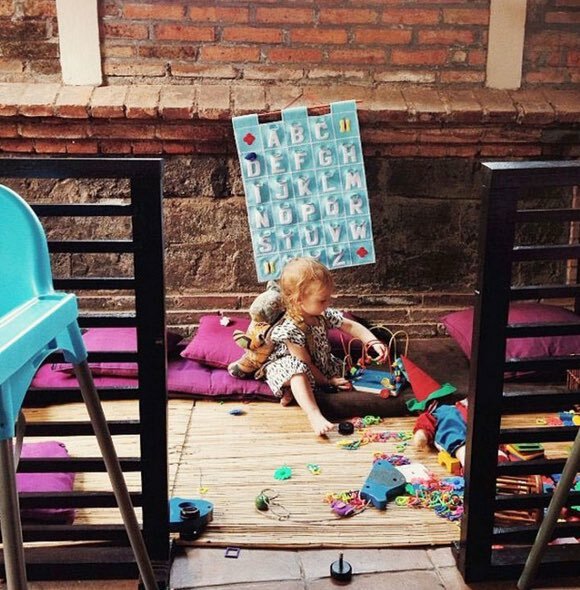 You sit and relax, drink that coffee nice and slow, your kids will not get bored at this trendy Canggu cafe. This one is a bit of a secret. Bucu is located in Umalas, a quiet area in between Seminyak and Canggu. At first glance, this place looks like a cool little lunch cafe but there is more to it! 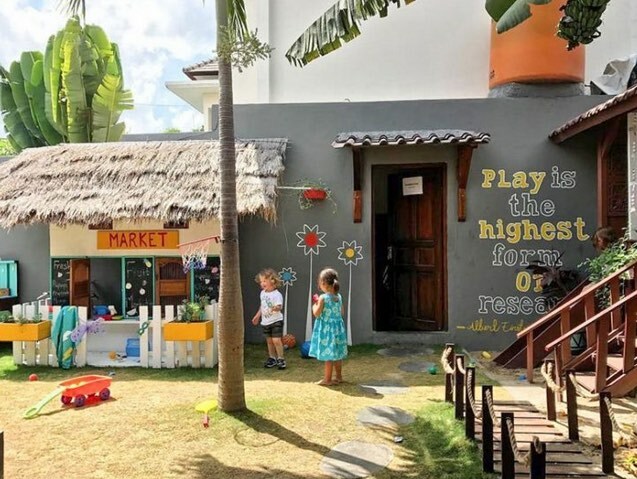 Come with the kids and you’ll be thrilled to find a large playground downstairs, featuring a big lawn with play installations and an indoor play area as well. A great find it is! 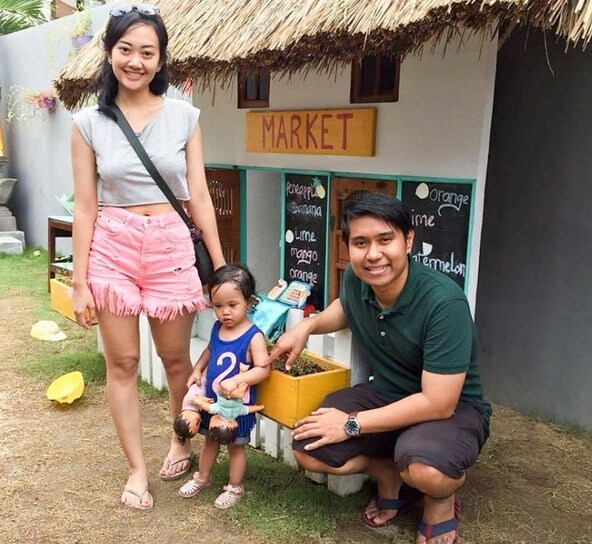 The ultimate family hang-out in Sanur! 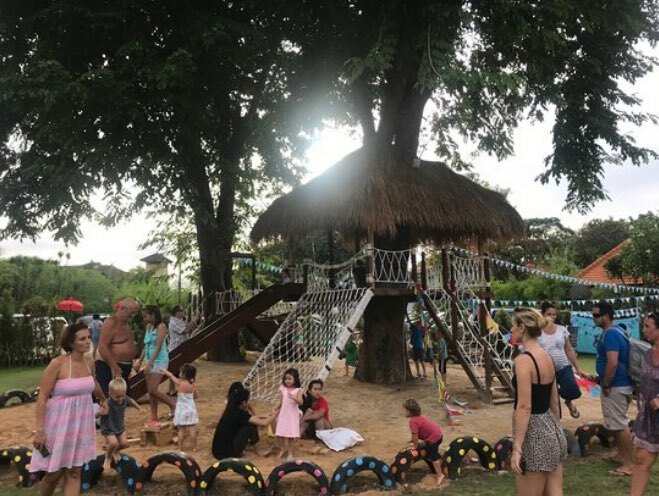 ACB beach club at Art Hotel in Sanur features a big family pool and a large outdoor playground built with natural wood, ropes and old car tires. 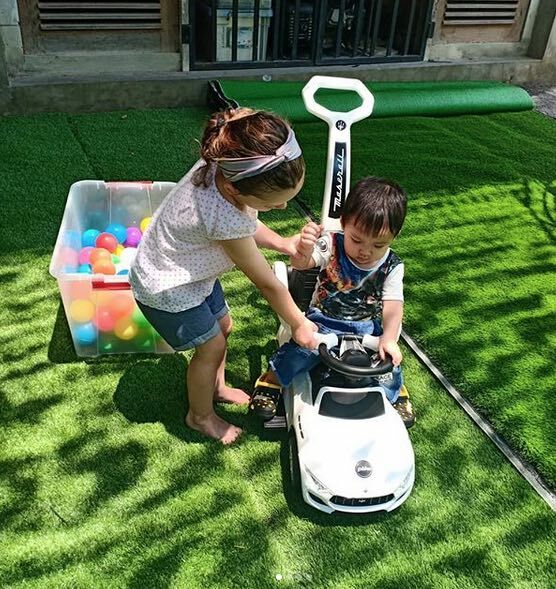 There is a large manicured green grass lawn for kids to run around on, there are sunny and shady spots and it is more than perfect for all families with kids! Bali Buda is the master of organic, healthy food in Bali, located in Kerobokan, Sanur, Canggu, Uluwatu and Ubud. All of them have little playing nooks and colouring pencils for the kids to keep themselves entertained. There are plenty of healthy sweet treats for your little ones to munch on, too, such as raw chocolate with goji berries and mint. Yummy! Staying in Bali’s gorgeous Bukit Peninsula? 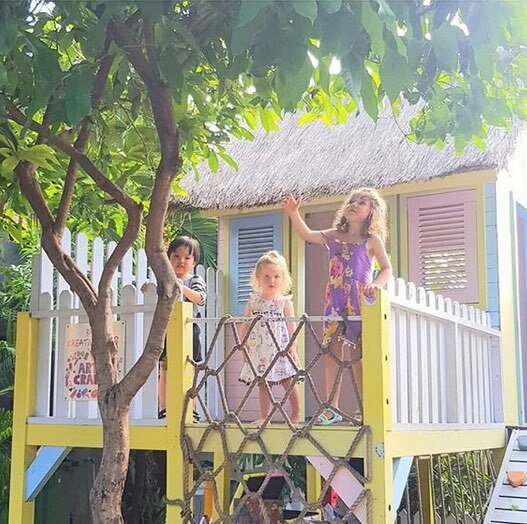 Go check out The Cashew Tree, a lovely family hang-out spot in Bingin, really close to Uluwatu featuring a sprawling garden with a playground. The Cashew Tree serves healthy smoothie bowls, excellent coffee, home baked cakes and more. They also have live bands sometimes. While the kids slide and swing happily at the playground, you can practise some yoga or go to a kick boxing class as well. A beach club, a playground or a pirate-live-our-fantasy paradise? 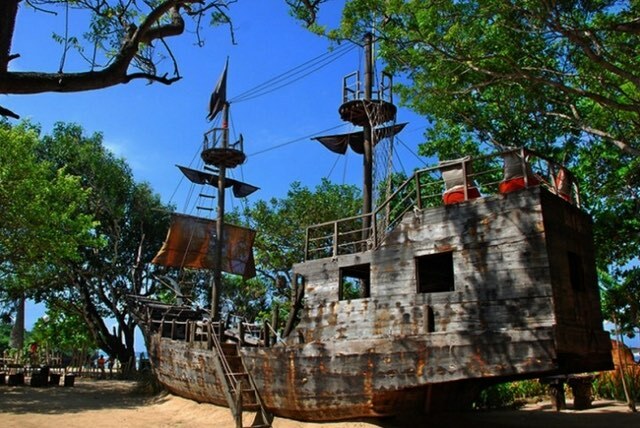 The Pirates Bay in Nusa Dua features a real live pirate boat stranded on the sandy shore. There are secret hide-outs, look-out towers and the little ones can go on guided treasure hunts. This beach club allows parents to have a real romantic beach-front dinner while kids are free to play and run around. Enjoy the ocean views, the fresh sea breeze and why not share a bottle of wine? Those guided treasure hunts will keep the kids entertained for hours on end! Wondering what Peruvian food tastes like? 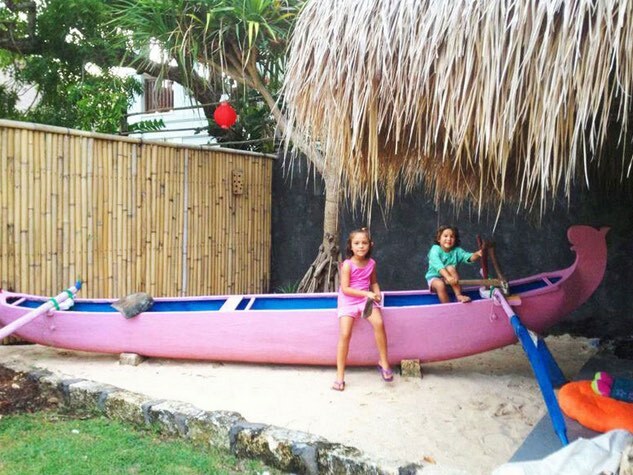 Head over to La Casita in Canggu and bring along the kids! 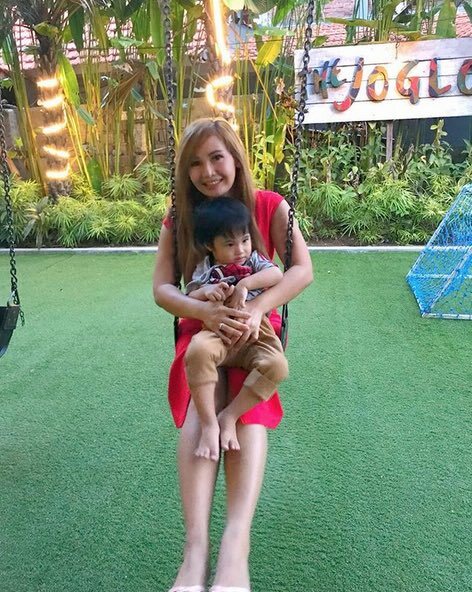 This charming, highly Instagrammable cafe features rice paddy views, a large kids playground with tropical market stalls and an Indonesian “bakso” stand. This place is easy to love and there are daily kids’ activities, too. Perfect! Still wondering where to book that perfect family villa on the island of Bali? There are beautiful villas everything! So, is it going to be cosmopolitan Seminyak, alternative yet trendy Canggu? Easy-going Sanur, cultural Ubud or Uluwatu? Don’t hesitate to contact us for advice. We are happy to help! Next post: 11 Luxe Villas in Bali – Perfect for Seniors!